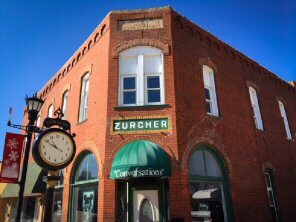 Marceline, MO - Downtown Marceline is excited to announce that it has received a donation of $154,000 from Albert & Shirley Schmidt of Kaukauna, Wisconsin for the purchase the Historic Zurcher Building and the adjacent (Coca-Cola mural) building located on Main Street USA. The purchase was completed February 26, 2019. 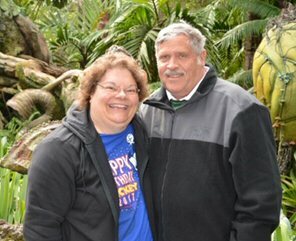 The Schmidt’s generous donation enabled Downtown Marceline, a 501c3 non-profit organization, to secure these iconic buildings and will further enable their restoration as focal points in Historic Downtown Marceline. To preserve their historical significance, Downtown Marceline will first complete a structural analysis to assess the physical integrity of the buildings. Upon completion of needed repairs, these buildings will once again house viable commercial businesses serving Marceline citizens and visitors to Downtown Marceline. Downtown Marceline is actively pursuing additional grants, donations and partnerships for stabilization and rehabilitation of the buildings located on Main Street USA to enhance the economic, social, cultural and environmental well-being of historic downtown Marceline. This project is one of many initiated through the Community Master Plan that was prepared by Missouri Main Street, Downtown Marceline, the City of Marceline and the Community through a rigorous planning process in 2017. Watch for more exciting improvement projects and events coming soon! Historic Zurcher Building on Main Street USA.